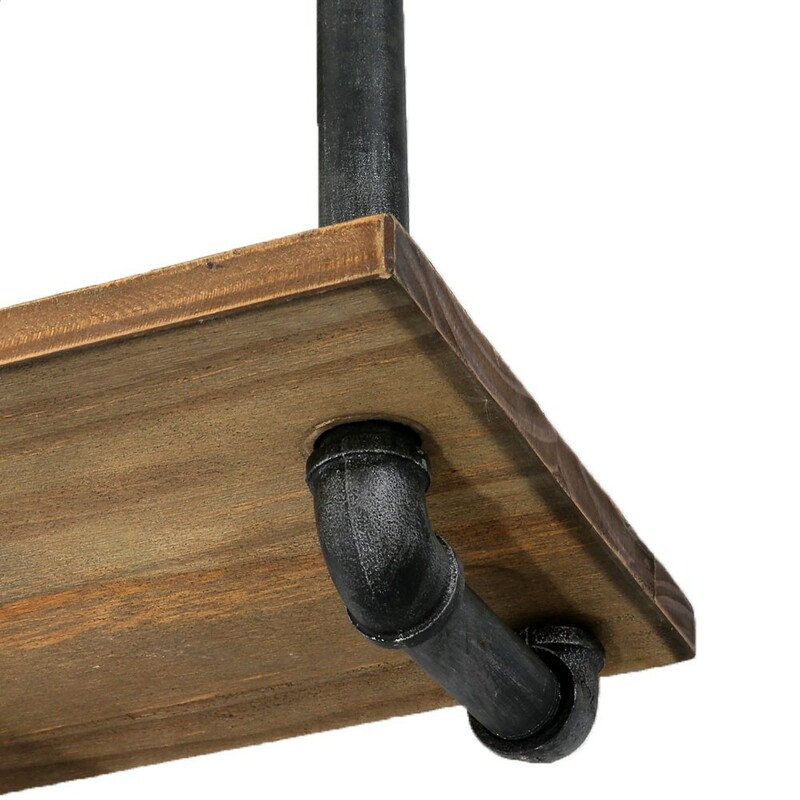 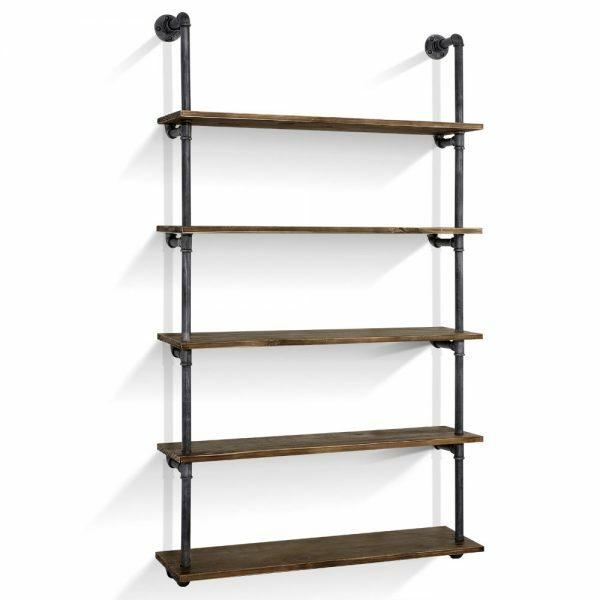 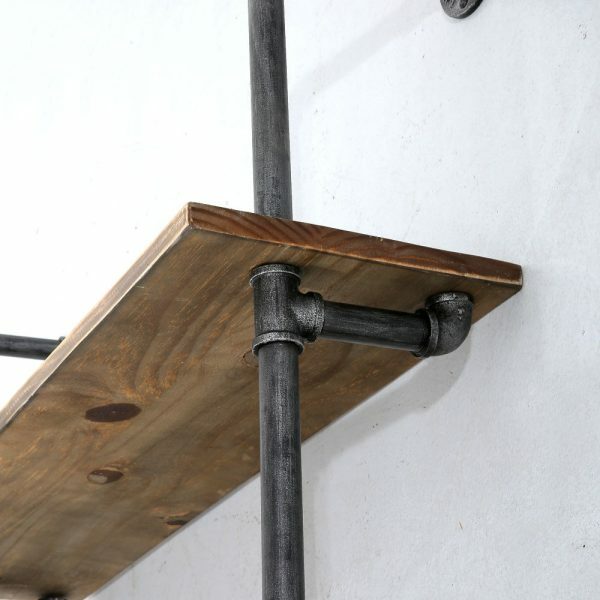 With its cool industrial vibes, the 5-tier pipe shelf is full of character and practicality. 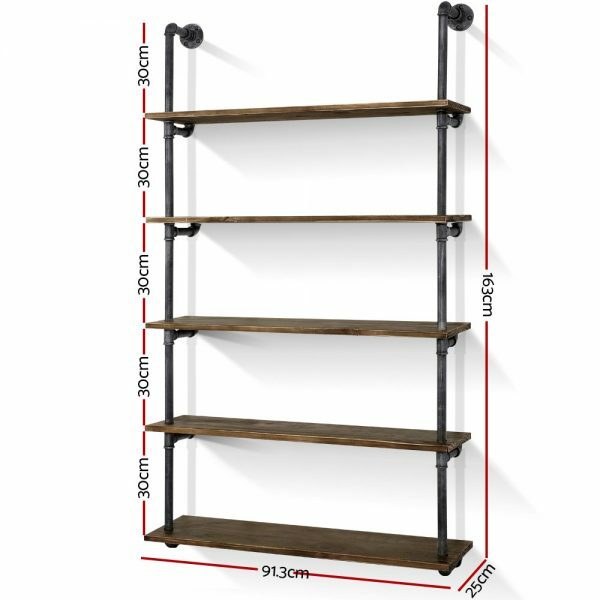 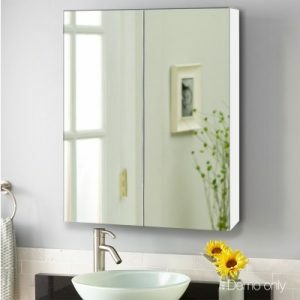 Use it to create more storage space in the home, in the garage, in the café or just about anywhere where empty space is available on a wall. 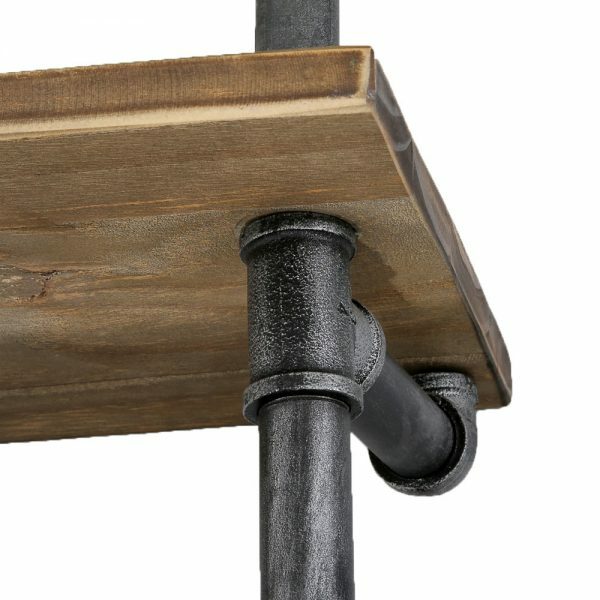 Made from quality pine wood and strong metal pipes, the entire ensemble is strong and durable. Each 2cm thick shelf has a weight capacity of 10kg and meticulously finished for flawless looks and style. 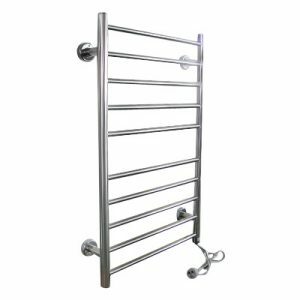 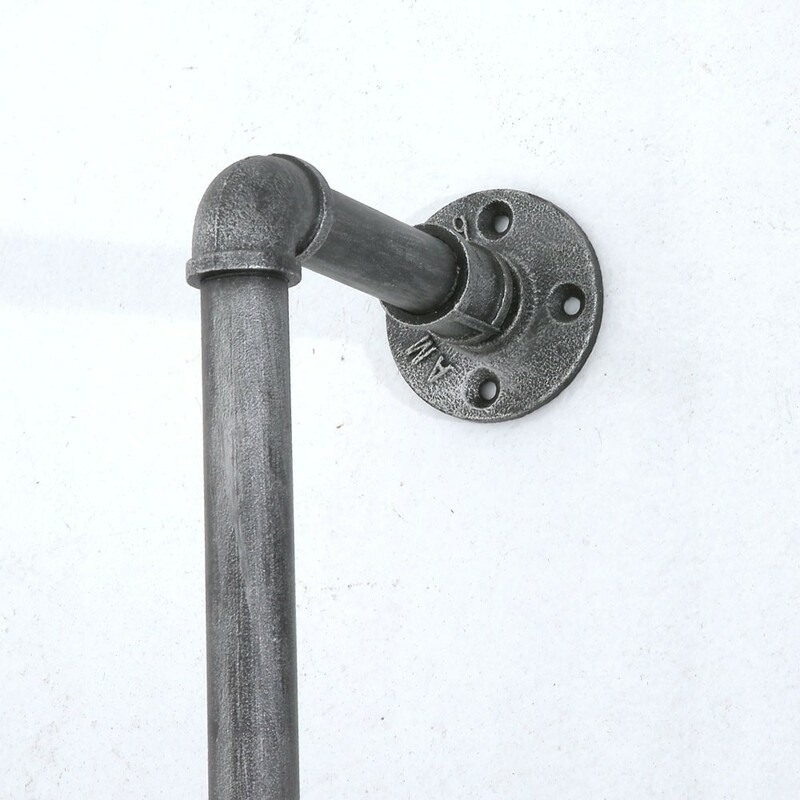 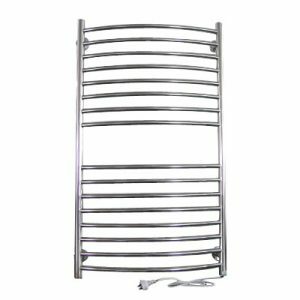 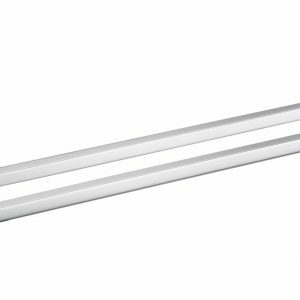 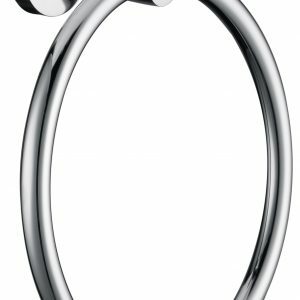 Not least, the metal pipes are each 25mm in diameter and 1.3mm thick and given a bold appearance for better industrial authenticity.